1/4 to 1/2 tsp pepermint extract depending on how much you like it. 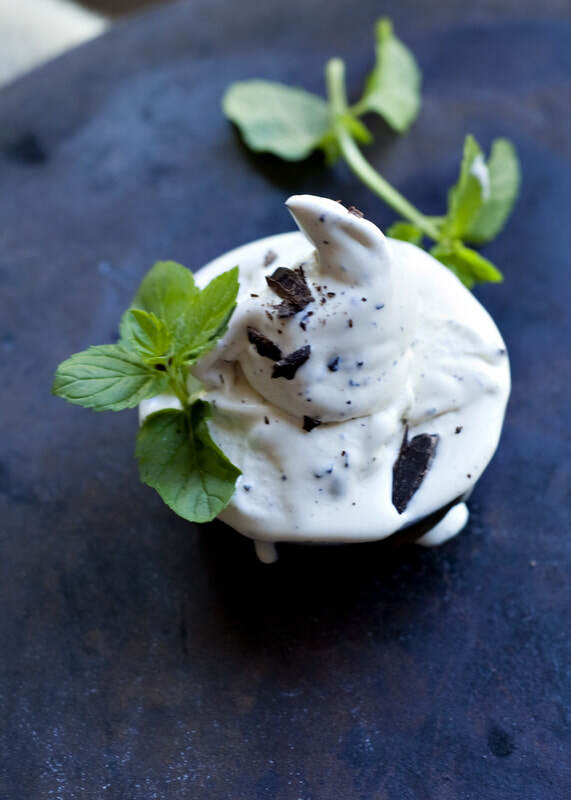 You will need an ice cream maker for this recipe. Make sure the ice cream tub has been in the freezer for 24 hours prior. Combine milk and heavy cream in a pot on the stove over medium heat. Don't let it boil. Add the mint and let the mint steep for about 5 minutes. Remove it from the heat then remove the mint from the milk after 5 minutes. In a standing mixer or with a hand held mixer, beat the yolks with the sugar and salt until it becomes pale and creamy. Add a ladle full of the warm milk into the egg mixture and whisk it. This is so that the eggs don't curdle. Add another ladle full and mix again. Now add the egg mixture back into the pot with the milk mixture and return to the stove over medium heat. Cook for about 5-7 minutes until the milk and egg mixture begins to thicken and sticks to the back of a wooden spoon. Do not let the mixture boil over. Once your mix begins to turn into a thin custard, strain the mix through a fine mesh strainer into a cold bowl. Mix in the peppermint extract at this point. Cover the custard with plastic wrap directly onto the custard. This keeps a film from forming. Place custard into the refrigerator for 3-4 hours to cool completely. Once your custard has completely cooled, its time to place it into your ice cream maker and let it do it's thing. Add the chocolate bits in the beginning of the process. Make sure that your ice cream tub had been in the freezer for at least 24 hours before. Mine took about 25 minutes to become thick like soft serve. Place the the gelato into a freezer safe container and keep in the freezer. 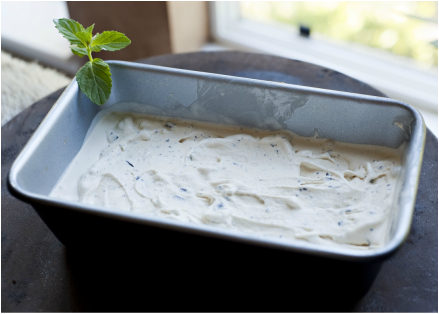 Pull the gelato out of the freezer 10 minutes prior to serving to give it the perfect consistency for serving.